CAFE standards being what they are, Porsche will be adding another hybrid to their lineup in the form of the Panamera S Hybrid, which they say will go on sale in June. Power will come from the same hybrid drivetrain that powers the Cayenne S Hybrid, which is a supercharged V6 mated to an electric motor. The combo puts out a combined 380 horsepower, and a combined fuel economy of 41.54mpg, which is quite good for a car this size. 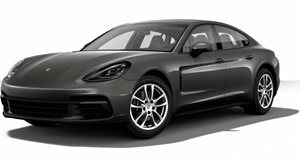 Of course, it&apos;s doubtful that many Porsche customers drive in the kind of fashion needed to get those kinds of fuel economy numbers, but still. Don&apos;t think that this is some kind of half-assed job to keep the emissions cops off their back without actually selling any of these cars though. The hybrid module is very compact, in order to keep weight down, and the module eliminates the need for a starter or generator. That lets the hybrid keep some of its sports cred.